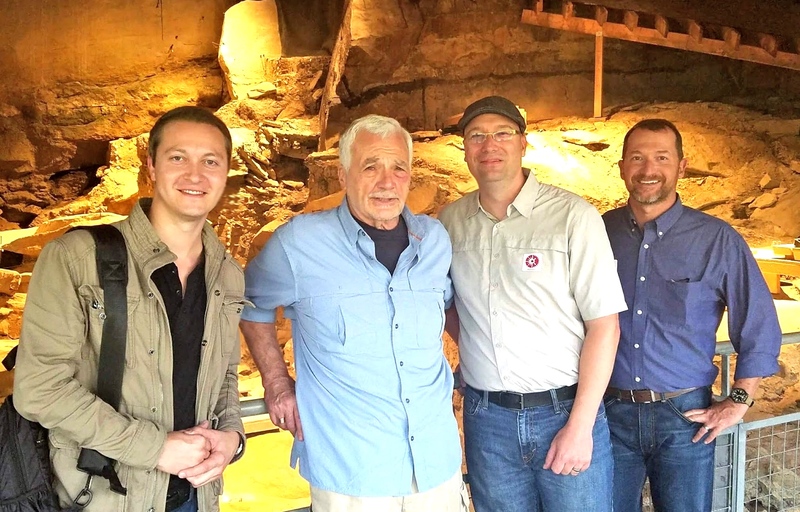 In October 2017, the Seven Ages Research Team visited Meadowcroft Rockshelter, a site in Pennsylvania believed to be the oldest known instance of continuous human habitation in North America. The earliest occupants at Meadowcroft arrived close to 16,000 years ago, 2,000 years before Clovis points began to appear on the continent. James Adovasio is the author of books that include “Strangers in a New Land: What Archaeology Reveals About the First Americans,” coauthored with David Pedler, documenting 35 Clovis and Folsom sites, disputed pre-Clovis sites, legitimate pre-Clovis sites and controversial pre-Clovis sites, including Meadowcroft Rockshelter. During our visit to the Meadowcroft excavation site, Dr. Adovasio sat down with the Seven Ages team, sharing a broad reaching discussion that touched on his groundbreaking work in Pennsylvania, as well as his more recent work at Vero Beach, Florida. Among the things we asked Dr. Adovasio had been where his initial interest in archaeology came from, and at what age he began to recognize it as a future profession. 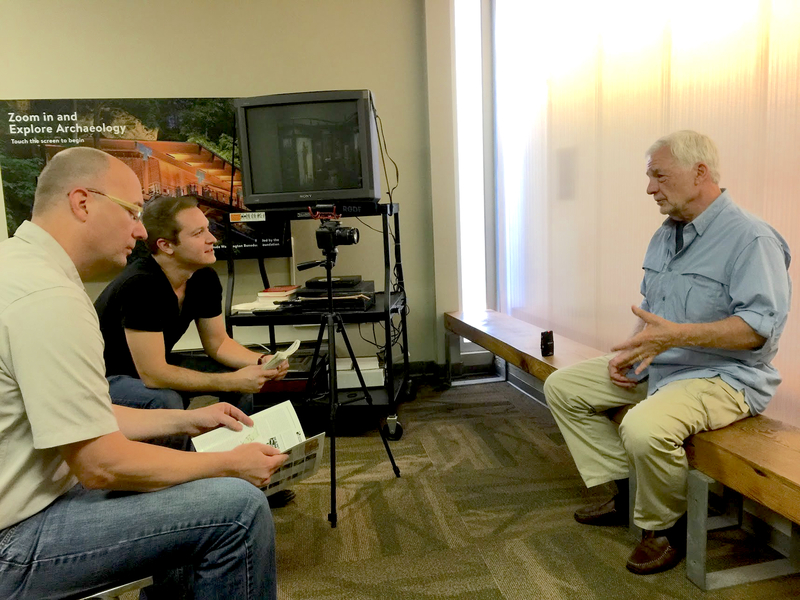 During our conversation with Dr. Adovasio, we asked him about the objectives he had in mind initially when excavations began at Meadowcroft Rockshelter. Above: Dr. James Adovasio speaks with the Seven Ages team (photo by James Waldo – Seven Ages Research). “As we’ve said about Meadowcroft, it’s not the antiquity of the site. It’s the thousands of years of interdigitation of people with a very subtly shifting environment, and the ability to document those interdigitations over time that’s important to us than however old it is.